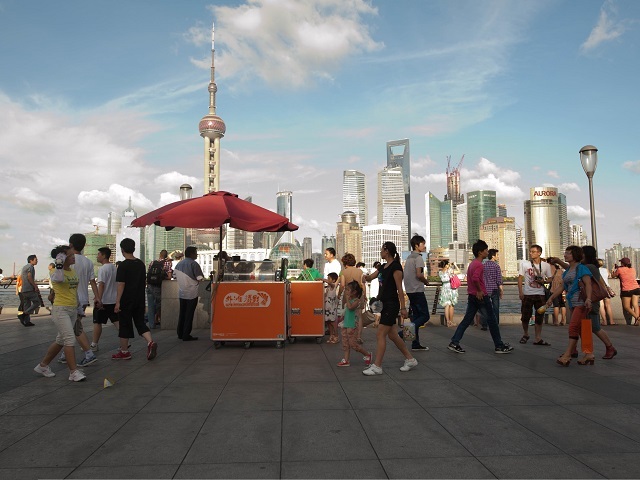 With the help of collaborative networks for learning, cities like Shanghai are emerging as global leaders and innovators. Photo by H4g2/Flickr. It can be easy to overlook foreign policy at a city level, given that high-profile agreements are typically made between national governments. However, while countries negotiate international security deals, trade partnerships, and climate agreements, the power of cities to develop their own foreign policy is growing. Today, more than half of the world’s population lives in urban areas, and the United Nations estimates that by 2050, two-thirds will live in cities. In the next 13 years, 600 cities will account for nearly 65 percent of global GDP growth. With this explosion in the economic power of cities, it is not surprising that cities are taking foreign policy matters into their own hands. In particular, cities such as Tokyo, New York and Paris—those with higher concentrations of global organizations, businesses, and educational and cultural institutions—are increasingly working together to tackle common challenges like poverty, aging infrastructure, and climate change. Cities worldwide have been forming their own associations and networks to enable collaboration on issues such as the environment, transport, energy efficiency, and economic development. For example, C40 is a network of approximately 70 major cities worldwide that have come together to reduce greenhouse gas emissions beyond national-level agreements. The impact of these agreements can be significant globally: C40 estimates that its member cities have the potential to reduce their future emissions by 1.3 billion tons by 2030—more than the total emissions of Mexico and Canada combined. C40 is currently chaired by the mayor of Rio de Janeiro and includes major cities—like Jakarta, London, and Buenos Aires—on every continent. Similarly, Cities for Mobility is a worldwide, city-led network that works to develop sustainable and efficient transport systems in more than 550 cities from 76 countries. Coordinated by the City of Stuttgart in Germany, it promotes global, city-level cooperation between local governments, transport operators, the private sector, the scientific community, and civil society. While the organization’s efforts are simultaneously taking place at the local and transnational levels, its mission is to link experts with insights on the social, economic, and ecological aspects of urban mobility. For example, MOVIMAN served as a “mobility manager” to provide planning agencies and transportation companies with information on the specific demand for mobility within a given area. The goal was to achieve a balance of supply and demand. Metropolis, a network of more than 130 cities with over one million residents, serves as an international forum for exploring solutions to challenges common to big cities and metropolitan regions. One of their objectives is to “represent and give international political visibility to metropolitan interests,” underscoring cities’ unique interests and circumstances. Although these organizations do not aim to change national foreign policy, their collaboration and innovative problem solving advances the issues that both national and city governments care about deeply. While cross-regional organizations and interest groups offer one way to work across borders, national governments may be hearing from major cities more frequently and more directly. A potential next step for some cities might be to open embassy-like institutions. Countries have embassies in all corners of the world to help their citizens and promote their interests overseas. The focus of a “city embassy” might be a bit different – to promote trade for local businesses, to highlight prominent cultural institutions and draw tourists, or to form a more official relationship with the host city government. These offices would serve as hubs for cities to support local businesses that want to expand their markets, educational institutions that want to draw foreign students, or nonprofits that want to collaborate internationally. The ultimate effects and implications of global cities developing and pursuing their own international agendas are unknown. However, it is realistic to imagine cities having a more pronounced influence within their respective countries and on the international level. According to former US Secretary of State Madeleine Albright, “This trend will only accelerate as global cities grow, so we need to better understand the dynamics between global cities of the future and traditional nation-states in order to tackle twenty-first century challenges.” Albright, along with other leading voices in international relations, will discuss the implications of global cities’ foreign policies at the Chicago Forum on Global Cities in Chicago from May 27-29. Shedding light on the local-level nuances of international relations will help both cities and countries as they continue to look for ways to work together.